Web Hosting from a Co-operative provider! Get your website up and running in no time at all. Our order process is simple and fast. Use our in-built website designer to create your own personalised site quickly and efficiently, with drag and drop functionality. You can even choose from a wide selection of themes and pre-built content, just edit to your needs and publish! With our QuickInstall tool, available on every Web Hosting plan, you can create virtually any type of website: blog, forum, CMS, wiki, photo gallery, E-commerce store, and so much more! Since MediaBlaze Hosts runs on Linux, Apache, MySQL, and PHP, thousands of existing applications and software are compatible. Trusted by millions, and a growing force in	the CMS world, Joomla is known for being	both highly customizable & user-friendly. 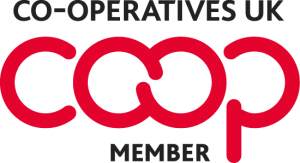 MediaBlaze Hosts is one of many co-operative businesses within the UK, supporting good causes and living by the Co-operative way. We have a small dedicated team of employees, here to assist you and your business when you need it most. We will never treat you like another number, we'll get to know each and every one of our clients and develop a long lasting relationship through our continued focus on customer support and great services. Every web hosting plan comes with a 14 day money back guarantee, 99.9% uptime guarantee, top security and technical assistance for those trick scripts or applications.